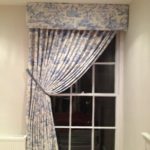 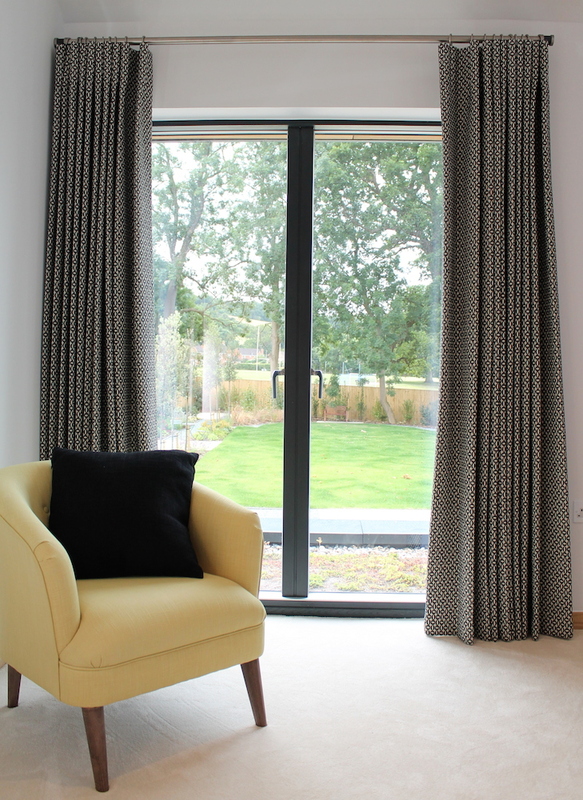 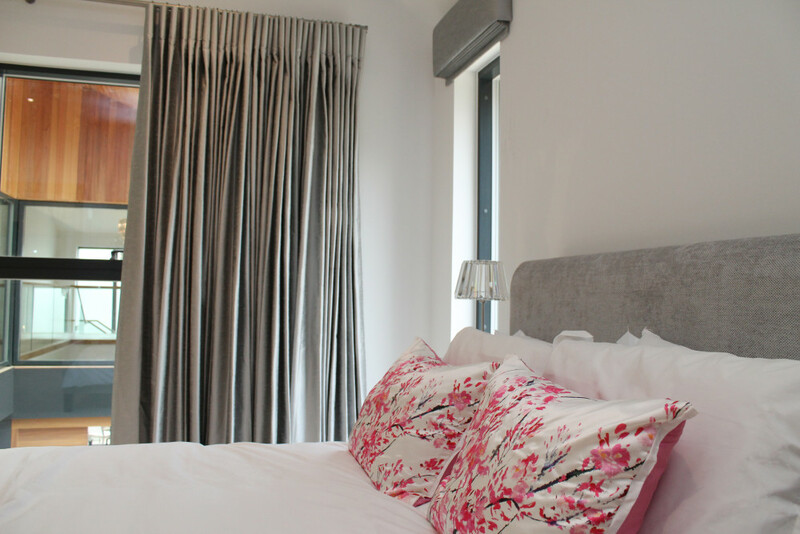 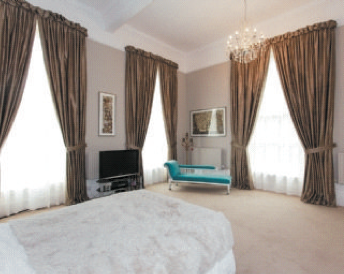 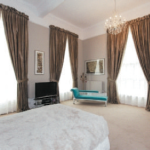 Beltaine Designs can provide you with all manner of curtaining, blinds and voiles, including the more elaborate styles such as swags & tails and Italian strung curtains. 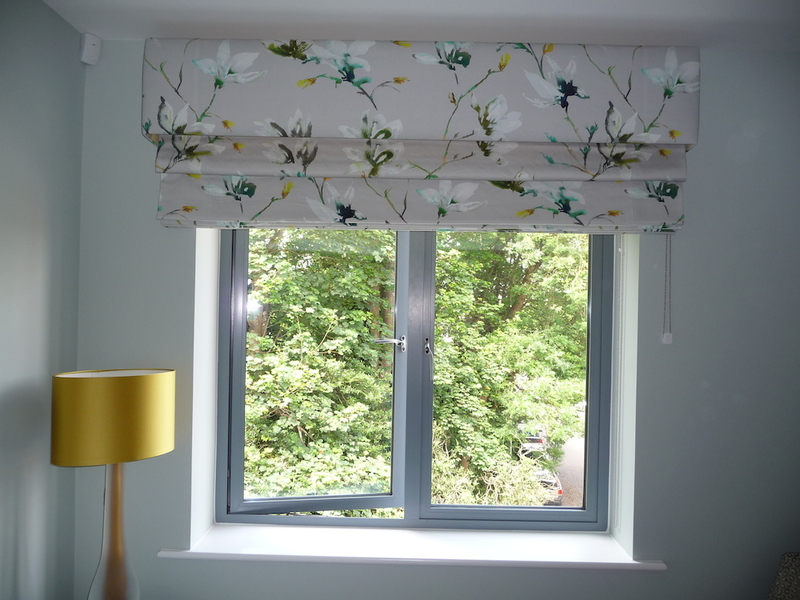 We offer a complete service from measuring and making, through to fitting and will also advise on the appropriate tracks, poles and pelmets to compliment your window treatment. 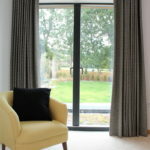 Within our fabric library, we have a wide selection from all the major designer fabric houses, which we show you in the comfort of your own home. 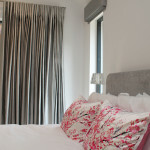 Wave curtains with pencil pleat voiles. 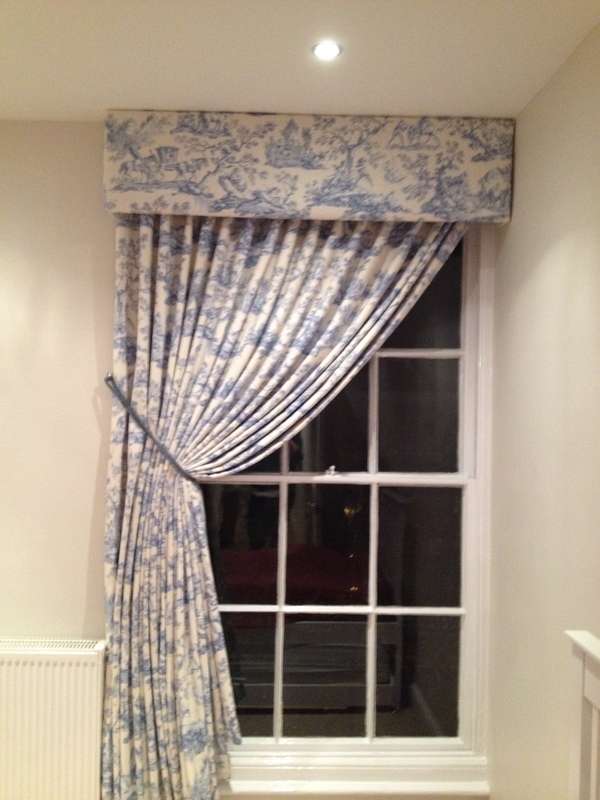 Single pinch pleat curtain with upholstered pelmet. 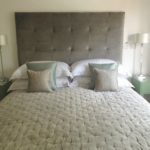 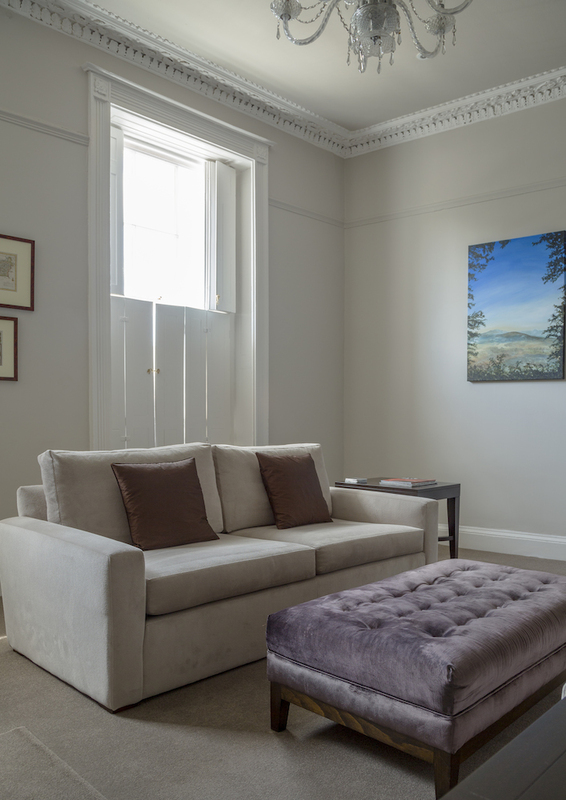 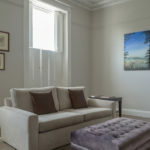 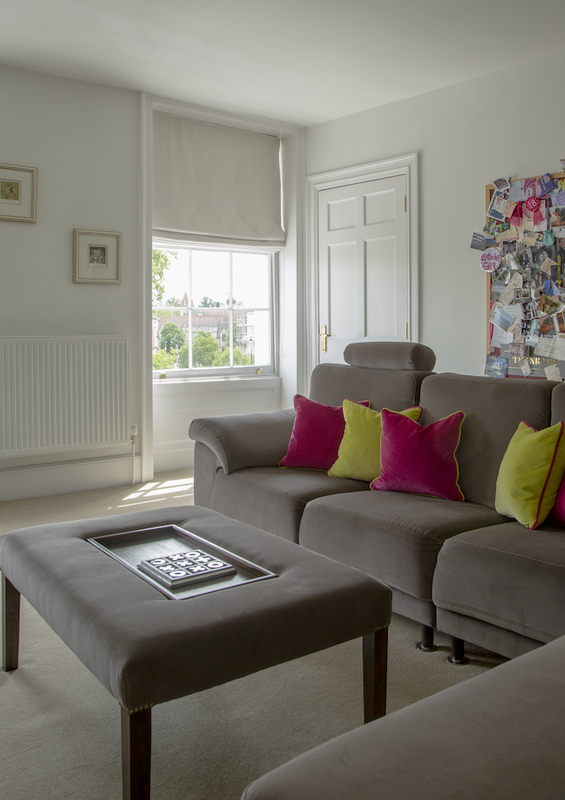 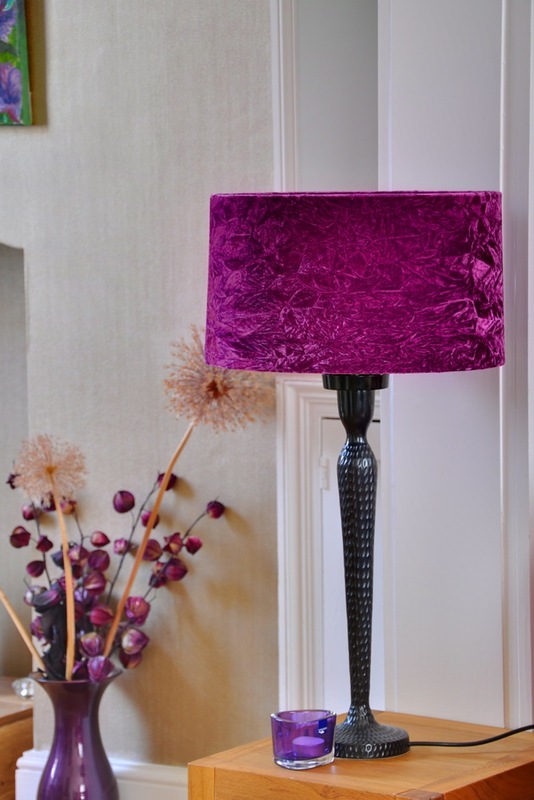 Beltaine Designs can provide bespoke sofas, armchairs, dining chairs, headboards, footstools… and just about anything else you can think of in the world of upholstered furniture! 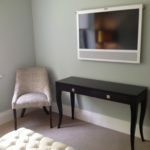 We also offer a complete re-uphostery service for your existing much loved furniture, thereby giving it a new lease of life. 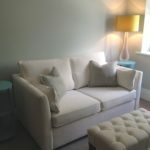 Bespoke sofa bed & upholstered footstool. 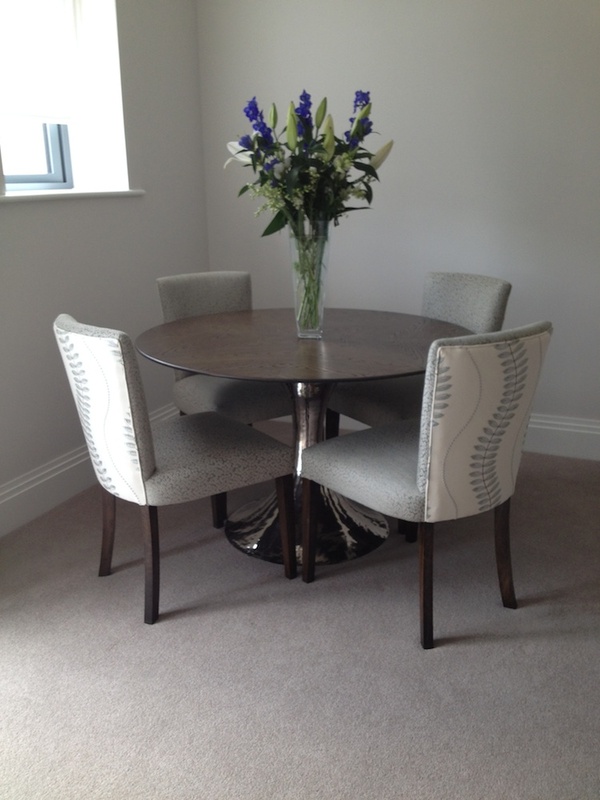 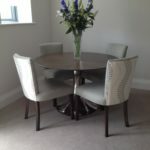 Bespoke dining chairs with curved back. 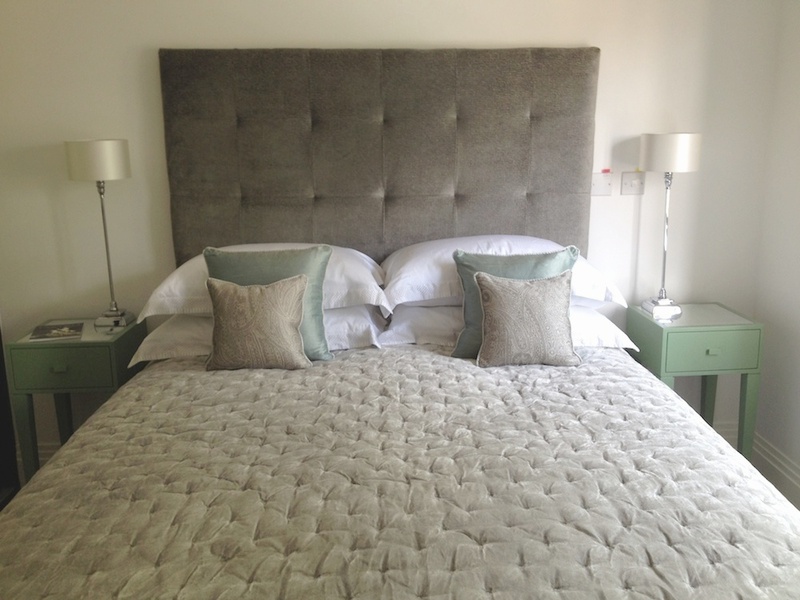 Bespoke headboard with surface buttoning. 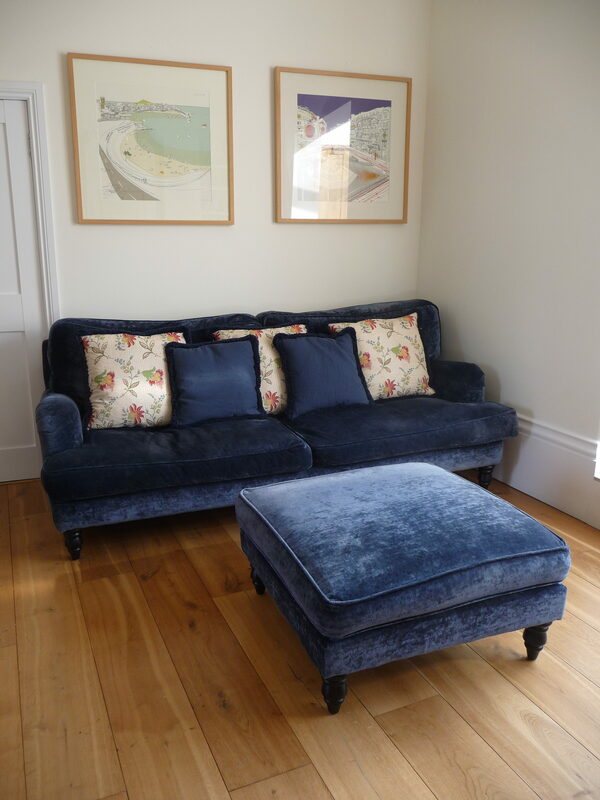 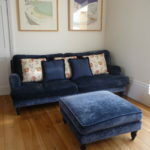 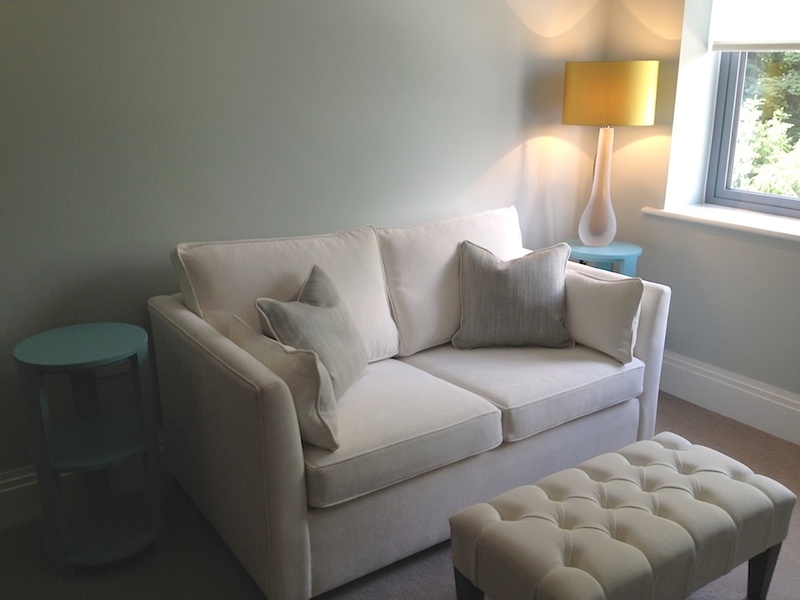 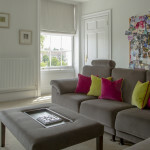 Bespoke sofa with upholstered footstool. 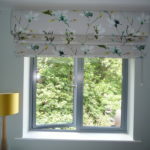 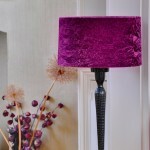 Turning a house into a home involves many elements and the choice of products can be overwhelming. 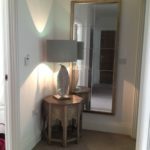 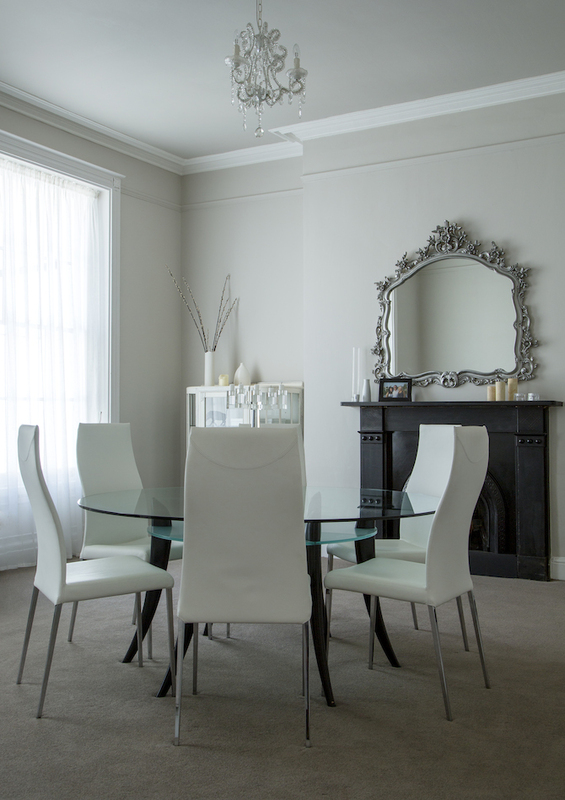 So whether you are looking for an antique dining table, a beautiful mirror or a sleek, contemporary lamp, Beltaine Designs can help you source the perfect piece. 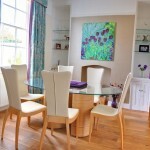 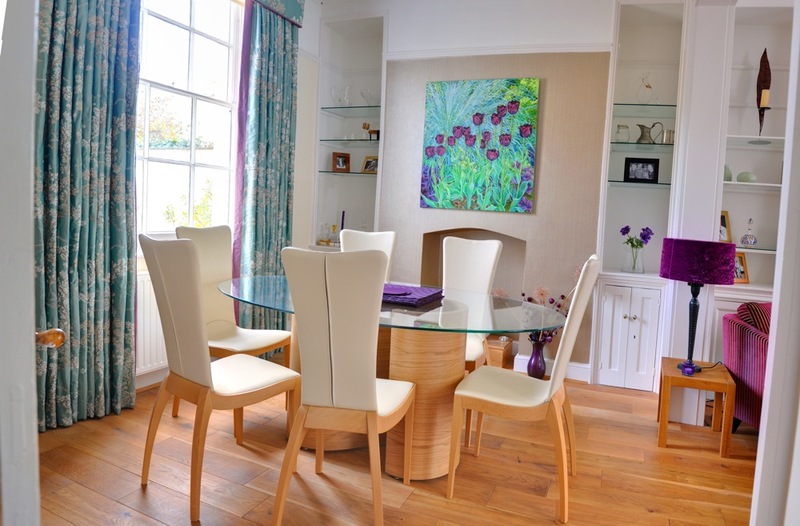 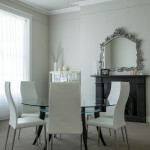 Glass top table with dining chairs. 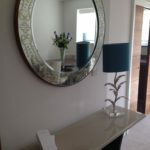 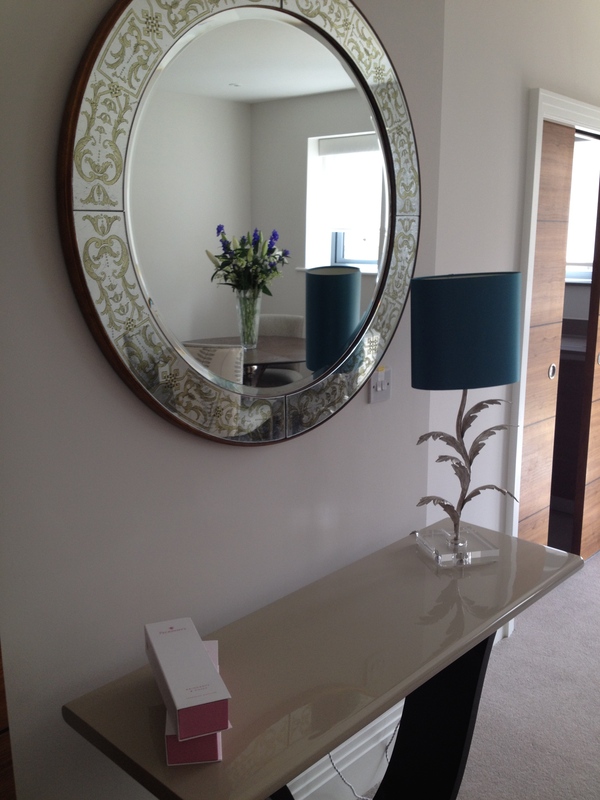 Console table, lamp and mirror. 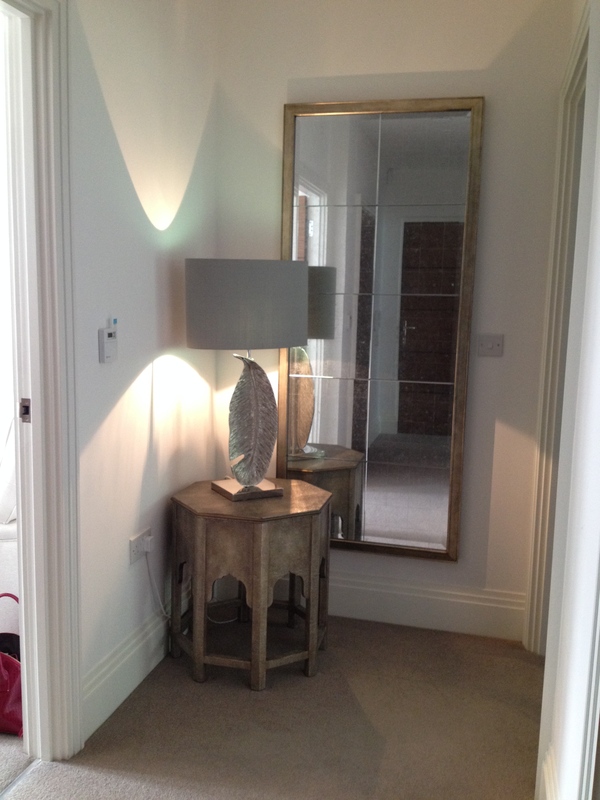 Side table, lamp and mirror.